Programs such as BOKS that help children not only develop healthy habits to promote optimal growth trajectories but also promote social and emotional skills that can help them better handle stress, peer interactions, and negative feelings are just what children need and should be broadly scaled. The program’s being school-based and run by volunteers gives it the potential of affecting a large number of children equitably without the need for substantial resources. 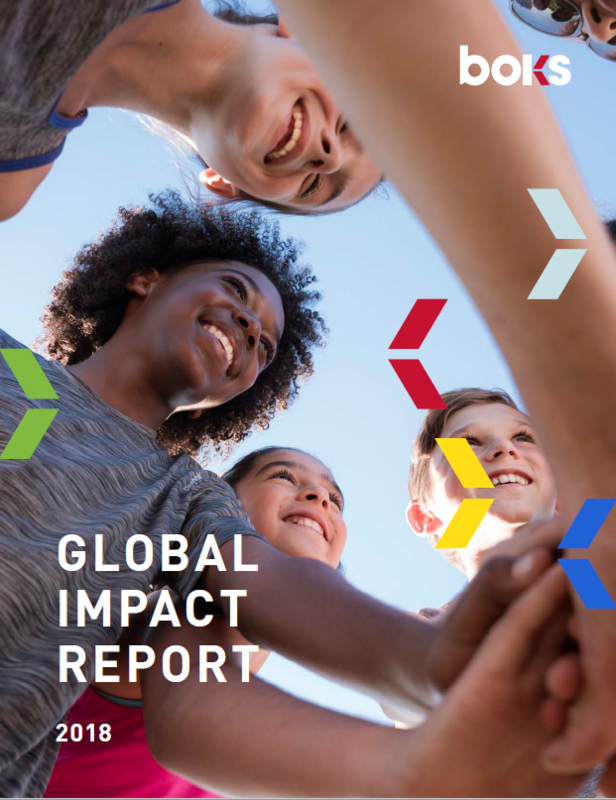 The 2018 BOKS Global Impact Report and its contents are the result of the combined efforts and hard work of so many individuals who give us faith that for the right cause, people from all different backgrounds, incomes, occupations, etc. can come together and make an impact. Click below to download the full report and see the impact BOKS has made in 2018. View all upcoming training HERE. Can’t make it in person – check out our Virtual Training. This 12-week curriculum focuses on getting elementary kids moving while developing a functional fitness skill of the week (ex. squat, push up, plank). Each class includes a free play period, warm up, skill, running related activities, class game, and short nutritional talk. This 12-week curriculum focuses on developing basic fundamental movement skills (kicking, catching, throwing, striking) and fitness principles (strength, endurance, coordination) through fun activities and games suitable for K-8 students and includes an age-specific nutrition component. Targeted at older students, this curriculum “hides” functional fitness skills and concepts within games, relays, and obstacle courses. By combining traditional playground games, typical ball sports and fast paced relay races and obstacle courses, BOKS provides the moderate to vigorous physical activity programming. The curriculum keeps young kids (aged 2-5) active throughout their day as well as teaches them about healthy eating habits. The early childhood curriculum provides younger children a safe, fun environment to practice skills through play, while building confidence and developing lifelong healthy habits. BOKS Bursts are short 1 to 10 minute in-classroom physical activities created to help kids stay active throughout the school day, energizing their brains for enhanced learning. 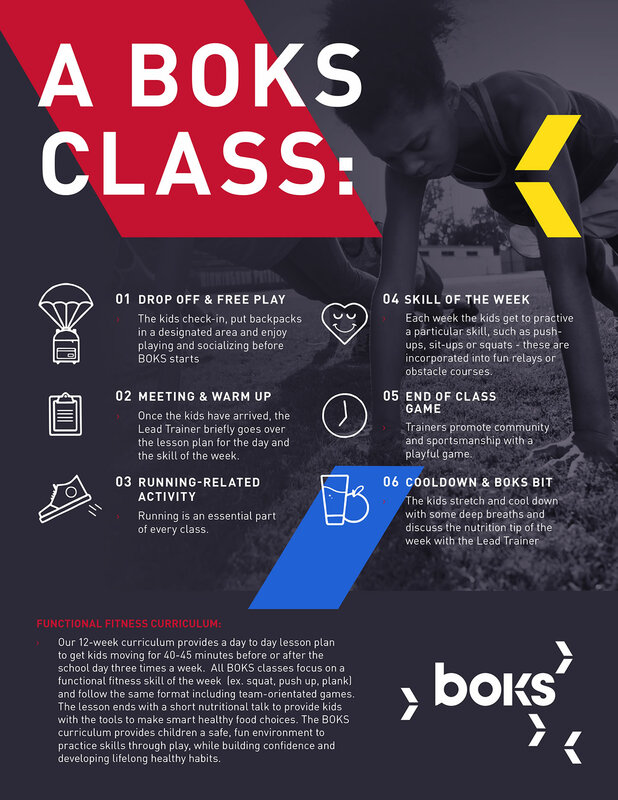 Bursts can be accessed by BOKS Trainers after enrolling their school, or click the link below and sign up to receive the curriculum in a weekly email. BOKS and Tara Stiles (founder of STRALA Yoga) teamed up to create fun and easy yoga and mindfulness activities. Designed to activate the body’s relaxation response by breathing deep, matching your breath and body together, and moving your whole body in harmony with itself, these activities are perfect for students of all ages. 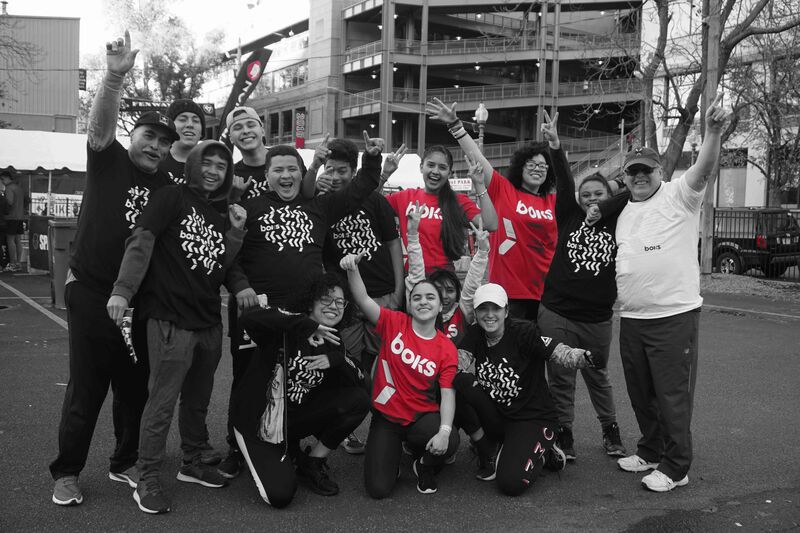 The BOKS High School Curriculum was created in collaboration with Spartan Races. This program was designed to keep high schoolers engaged in physical activity and mentally prepared to tackle obstacles in life. Each 45 minute class includes a fitness skill of the week that supports the completion of obstacles (e.g. crawling, throwing, jumping); a virtue or behavior typical of a Spartan racer (e.g. perseverance); a warm-up; a skill or running related activity; a skill related game; and a cool-down mindfulness exercise to end each session. Download our Help Pack for additional documents to start moving through the enrollment process and gain approval from the school principal.